Loretta ‘Deliana’ Fuddy, former Hawaii state director of health and Subud USA national chairperson (2006-2008) coauthored an academic paper at the University of Illinois at Chicago (UIC), as first reported by 1776 Channel. Subud is a spiritual practice (some call it a cult) that began in Indonesia, the childhood home of Barack Obama. 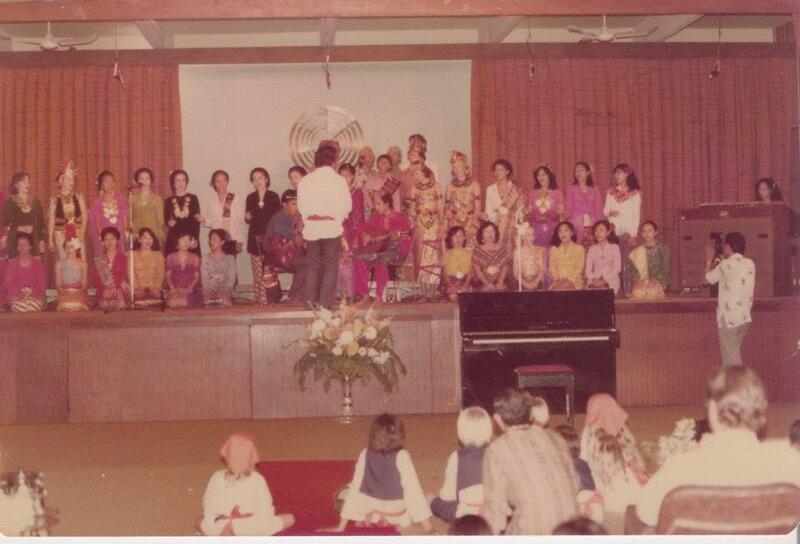 A 1970s photo uncovered by 1776 Channel may show Obama’s alleged mother Stanley Ann Dunham at a gathering inside Subud’s Jarkarta, Indonesia headquarters. Fuddy’s step mother Marjorie Ireland Fuddy was born in Australia and worked as a computer programmer at the Hawaii Department of Health. Fuddy simultaneously managed large amounts of money for the Hawaii Department of Health and for SUBUD USA. Fuddy died following a bizarre Pacific ocean plane ‘crash’ off the coast of Molokai, Hawaii on December 11, 2013. UIC is the same university where radical communist domestic terrorist Bill Ayers of the Weather Underground was a professor. UIC Professor Emeritus of Art and Design History Dr. Victor Margolin and his wife Sylvia ‘Shoshanah’ Margolin live in the Chicago area and have long been members of Subud. Dr. Margolin has also worked as a professor in Havana, Cuba. The Margolins are are involved with Subud Chicago. Victor serves as treasurer. 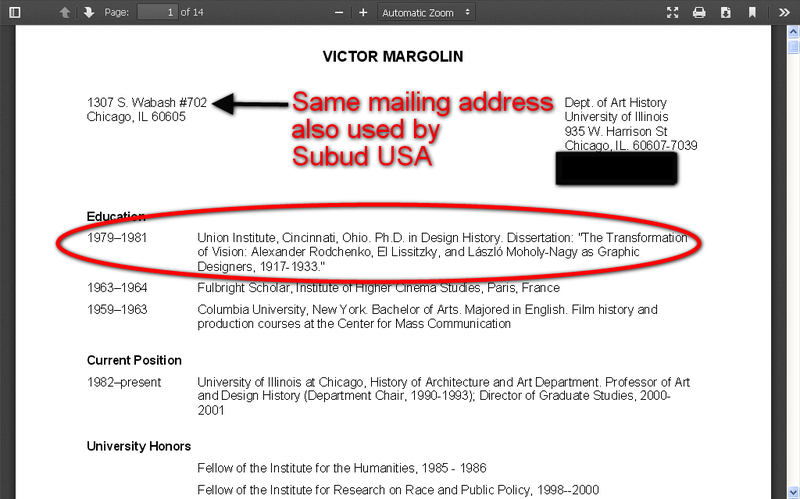 The mailing address on Victor Margolin’s résumé also appears in Subud USA corporate nonprofit filings. Victor Margolin, who graduated from Columbia University, is an expert on the history of political propaganda graphic design, and his Union Institute Ph.D. dissertation focused on the work of top Soviet propaganda graphic design artists. ‘Shoshanah’ Margolin was named Subud USA national chairperson in 2012, the position held by Fuddy from 2006-2008. ‘Shoshanah’ and ‘Deliana Antone’ a.k.a. Fuddy are listed as friends on facebook. 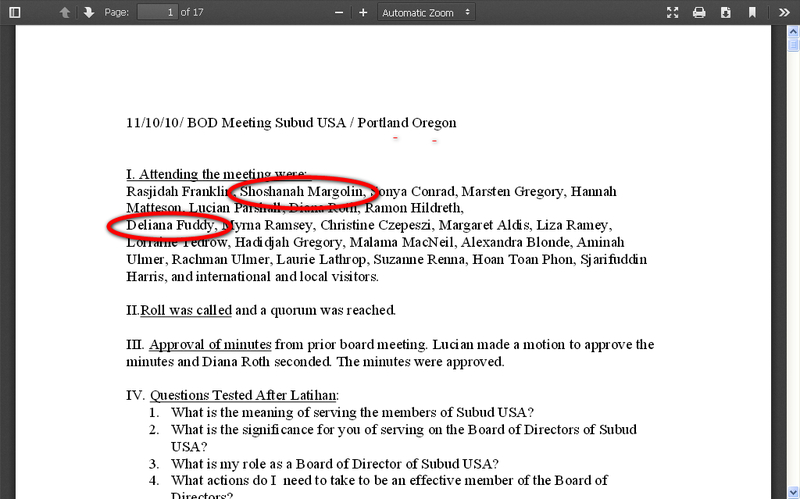 ‘Shoshanah’ and ‘Deliana’ Fuddy both attended the Subud USA board of directors meeting in Portland, OR on November 10, 2010, 11 weeks before Fuddy was appointed Hawaii acting director of Health. Victor Margolin’s father Benjamin Margolin worked for Nelson Rockefeller and for the Pan American Health Organization (part of the United Nations). Victor Margolin’s mother Olya Margolin was involved in a scandalous 1976 secret meeting in Washington, D.C. with representatives of the P.L.O, uncovered by Wolf Blitzer at the Jerusalem Post. The name ‘Olga Margolin’, a spelling which was used in a federal document now hosted at USAID.gov to refer to Victor Margolin’s mother, also appears in a William Remington FBI file index of an espionage case involving accusations of passing secrets to a Soviet agent, but the actual file pages appear to be missing or redacted. Barack Obama 2008 campaign logo lead designer Sol Sender has given presentations at graphic design conferences in Chicago and China where Victor Margolin was also speaking. Margolin has known School of the Art Institute of Chicago professor Maud Lavin since the early 1990s. Lavin and Sender worked together “team teaching” graphic design classes as early as 2003. Sol Sender’s father Ramón Sender lived at a Northern California commune called “Morning Star Ranch” in Sonoma County with two members of the Indonesian Subud cult in 1966. 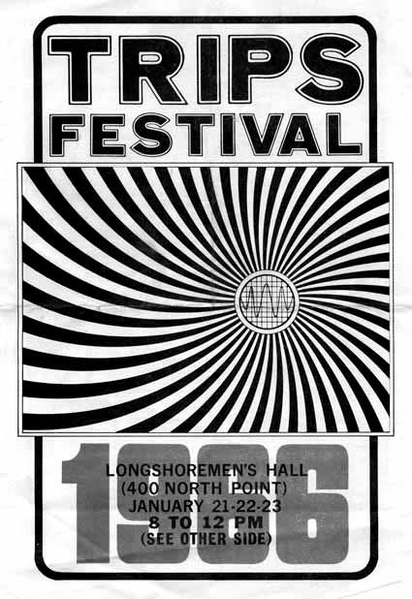 Obama logo designer Sol Sender’s father Ramón Sender co-produced the “Trips Festival” with Ken Kesey (author of “One Flew Over the Cuckoo’s Nest”). Kesey was involved in the CIA’s PROJECT MKULTRA LSD experiments at the Menlo Park Veterans Hospital. 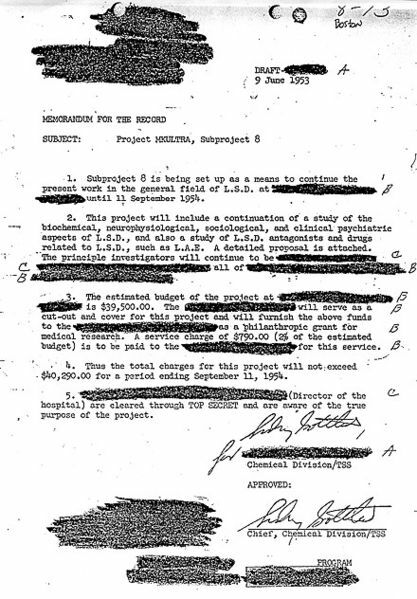 Some researchers have suggested that Subud is an intelligence community cut-out for CIA mind-control experiments. Fuddy was in Southern California close to the time period when Obama attended Occidental College. ‘Shoshanah’ Margolin is facebook friends with Suzanna Dayne, who has done graphic design work for Subud Worldwide in Jakarta and has also worked with UNICEF on vaccine campaigns in Indonesia. Dayne has also worked with Voice of America, USAID, NBC and CNN. (1776 Channel) Have you ever wondered who took over as Subud USA National Chair after Loretta ‘Deliana’ Fuddy? 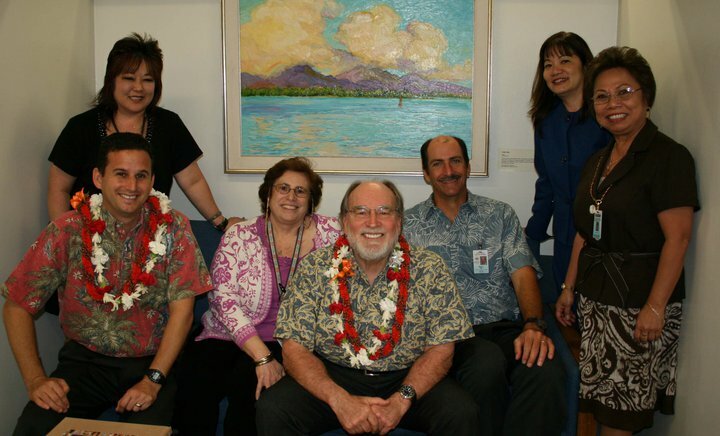 HAWAII -MAY 2011 (Approximate Date) – Hawaii Director of Health and former Subud USA National Chair Loretta ‘Deliana’ Fuddy (Center L) and former Hawaii Governor Neil Abercrombie (Center R) with staff members. The trail eventually leads to Chicago. A 1776 Channel investigation of former Hawaii Director of Health Loretta ‘Deliana’ Fuddy’s connections with Subud Chicago leads to Victor and Sylvia ‘Shoshanah’ Margolin, a married couple from Chicago: He’s a political propaganda graphic design expert at the university where Bill Ayers taught and she assumed Fuddy’s former position as Subud USA National Chair. Sylvia Margolin appears to be known within the Subud organization as ‘Shoshanah’ Margolin. Loretta Fuddy was known inside the Subud organization as ‘Deliana’ Fuddy. ‘Shoshanah’ appears to also use the name ‘Sheila Samuels’ according to her facebook profile. Shoshanah Margolin moved up from Subud USA vice-chair to Subud USA chair in 2012 according to a 2012 3rd quarter report published in Subud Voice. Shoshanah Margolin was listed as National Chairperson of SUBUD USA in the Board of Directors listings published in the September 2012 edition of Subud USA News. Shoshanah is listed as ‘Past National Chair’ in the May 2015 edition of Subud USA National News. 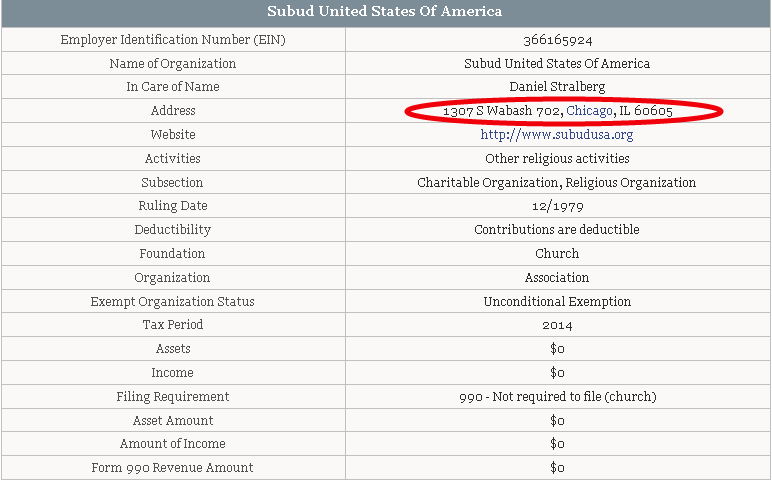 “Shoshana and Victor Margolin” were listed as 2009 donors to the Muhammad Subuh Foundatiion, according to the foundation’s 2009 annual report. Victor Margolin has also served as Treasurer for Subud Chicago, according to the September 2012 edition of Subud News. Shoshanah Margolin is currently listed as Subud USA Treasurer according to the Subud USA National Dewan. Dewan means council, according to the group’s website. Fuddy reportedly released President Barack Obama’s long-form certificate of live birth to the White House in April 2011 then allegedly died minutes after surviving a bizarre plane crash in December 2013. 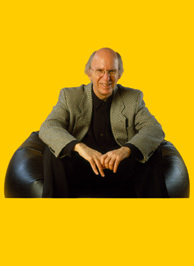 Victor Margolin is a Professor Emeritus of design history at the University of Illinois Chicago (UIC), who retired in 2005. The same Chicago mailing address appears on Dr. Margolin’s résumé and on Subud USA nonprofit corporation filings, including with the State of Washington. Dr. Victor Margolin’s résumé. (Source: The University of Illinois at Chicago official website). Dr. Margolin has also been a a visiting professor at the Instituto Superior de Diseño Industrial in Havana, Cuba, according to his résumé. UIC is coincidentally the same university where radical leftist domestic terrorist and Barack Obama associate Bill Ayers of the Weather Underground taught until he retired in 2010 and where Loretta Fuddy coauthored an academic paper, as first reported by 1776 Channel. “Bernardine and I had hosted the initial fundraiser for Obama and uncharacteristically donated a little money to his campaign,” Ayers said. “We lived a few blocks apart and sat on a couple nonprofit boards together. So what? Who could have predicted it would blow up like this?” – Bill Ayers reading an except from his book “Public Enemy: Confessions of an American Dissident” as quoted in the Daily Caller. Victor Margolin joined the UIC faculty in 1982, followed by Ayers in 1987. 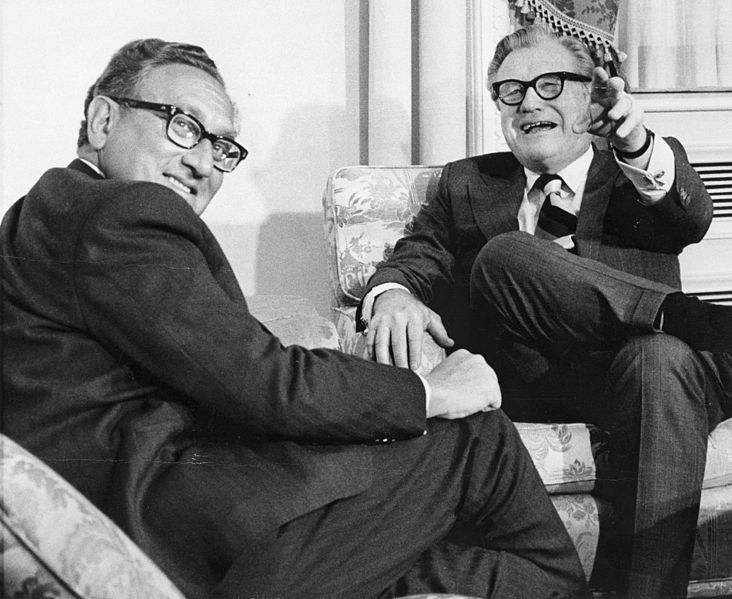 Victor Margolin and Ayers both studied at Columbia, although in different years. Both Victor Margolin and William C. Ayers have received the University of Illinois ‘University Scholars Award:’ Ayers in 1997 and Margolin in 2001. “Sylvia and Victor Margolin” and “Bill Ayers & Bernardine Dohrn” are both listed as donors in the Crossroads Fund 2006 Annual Report. A link to Crossroad’s website allegedly showing Bill Ayers and Bernadine Dhorn “hosting a Crossroads fundraiser” in 2006 appears to have been removed. The book Margolin reviewed is entitled “Here to Stay: American Families in the Twentieth Century” by Mary Jo Bane. “Here to Stay grew out of a project on “alternative approaches to child rearing” supported by the Carnegie Corporation. It is an important work.” wrote Margolin. “The limits of parental and state responsibility are far from clear. But that’s what transition is all about.” – Victor Margolin, book review of “Here to Stay: American Families in the Twentieth Century,” Chicago Tribune, November 28, 1976. The subject matter of the book Victor Margolin reviewed for the Chicago Tribune, the role of the State in family and children matters, is interesting. Bill Ayers would go on to teach early childhood education at UIC, the same institution where Margolin ended up teaching. “Worth the wait. . . . Margolin usefully presents what he calls the ‘failed hope’ of this movement in this valuable effort.” —Publishers Weekly review of The Struggle for Utopia: Rodchenko, Lissitzky, Moholy-Nagy, 1917-1946. Margolin also authored “Rebellion, Reform, and Revolution: American Design for Social Change,” published by the MIT Press in 1988. Victor Margolin’s late father, Benjamin Margolin, was an attorney who “came to Washington in 1941 to work on the legal staff of the Office of Inter-American Affairs, under the direction of Nelson A. Rockefeller” according to a 2005 obituary published in the Washington Post. “In 1949” Benjamin Margolin “joined the Pan American Health Organization as legal adviser, working on treaties and other documents and representing the organization in meetings in London, Geneva and Havana” according the Washington Post obituary. The Pan American Health Organization, started in 1902, describes itself as “the world’s oldest international public health agency”. 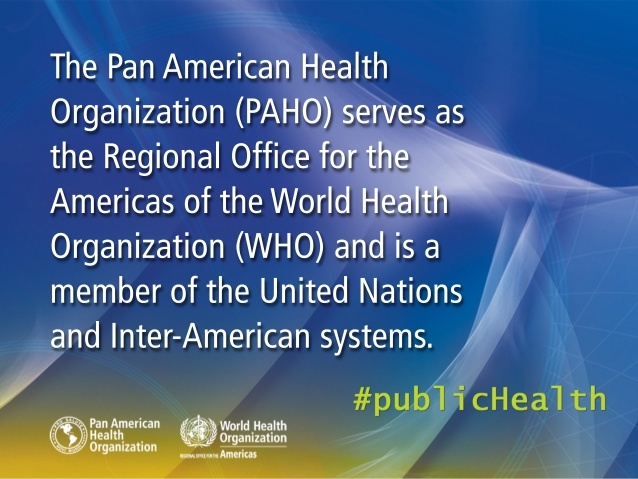 “Together with WHO, PAHO is a member of the United Nations system” explains the organization on it’s official website. Benjamin Margolin’s wife Olya Margolin, who was born in Lithuania according to her New York Times obituary, was a also a Washington player in her own right. Olya was the Washington representative of the National Council of Jewish Women. Olya Margolin was one of several American Jews who met secretly in Washington, D.C. with a representative of the Palestinian Liberation Organization (PLO) on November 1 and 15, 1976. Olya Margolin was also known in Olga Margolin. 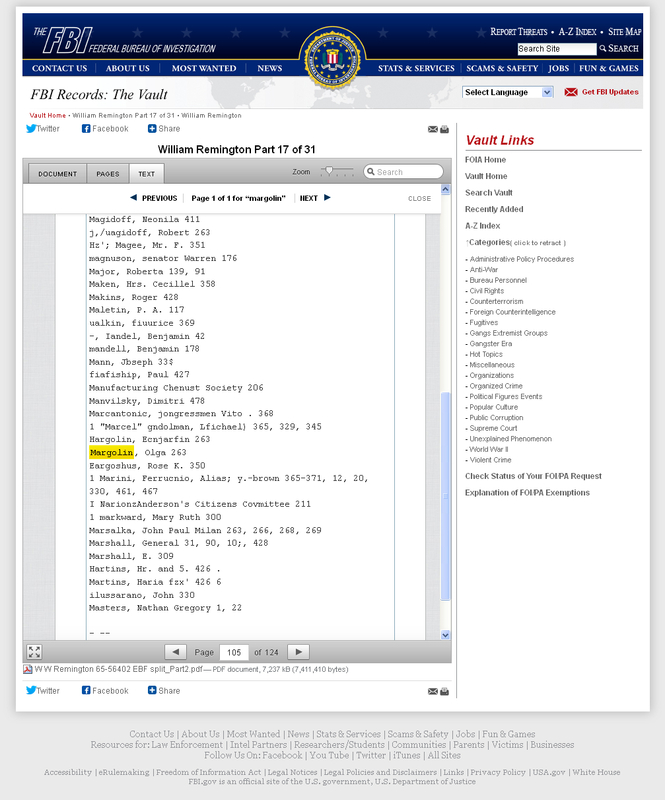 A 1958 U.S. government report “Foreign Aspects of U.S. National Security: Conference Report and Proceeding” lists “Mrs. Olga Margolin, National Council of Jewish Women, Washington, D.C.” among the hundreds of attendees. Among the speakers at the event were President Dwight Eisenhower and CIA Director Allen Dulles. 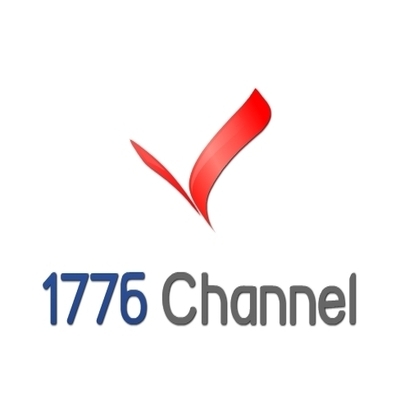 1776 Channel cannot verify if the “Margolin, Olga” listed in the index of the William Remington FBI file is the same individual as Olya/Olga Margolin, mother of Victor Margolin. It is also unknown what the index reference concerns because page 263 of the file appears to be missing or redacted, and the page sequence jumps from page 258 directly to page 268 . Victor Margolin appears to have attended several professional events which were also attended by another Chicago designer: Sol Sender. Sol Sender is famous for having led the design team that came up with the circular red, white and blue logo for the Barack Obama 2008 presidential election campaign. Chicago design firm Mode Project, which had already established connections with David Axelrod, commissioned Sender in 2006 to design the Obama logo. Mode Project, without Sender, later went on to design logos for the Obama administration’s stimulus program, as reported by NPR. Mode Project also produced a short film about Obama 2008 campaign manager David Plouffe. 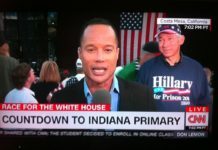 It remains unclear if propaganda design expert and Subud Chicago member Victor Margolin and Obama logo designer Sol Sender know one another personally, but they have attended several of the same design conferences, in Chicago and China. Sol Sender and Victor Margolin are both listed as speakers at the 2009 Beijing Icograda General Assembly of the International Council of Design (previously known as the International Council of Communication Design and as the International Council of Graphic Design Associations). The conference was held at the Gehua New Century Hotel in Beijing, China from October 24 – 25, 2009. Sol Sender gave the keynote presentation at that conference. Sol Sender and Victor Margolin also are listed as two of the ten ‘plenary speakers’ who gave 30-minute presentations at the International Conference on Design Principles and Practices, held on February 13-15, 2010 at the University of Illinois at Chicago (UIC). Maud Lavin is Professor of Visual and Critical Studies and Art History, Theory and Criticism at the School of the Art Institute of Chicago (SAIC). Victor Margolin and Lavin both gave presentations on second day of Looking Closer: AIGA Conference on Design History and Criticism, held on February 24-25, 2001 in New York. “Day two focused on history, with nine presentations representing a diversity of viewpoints (Neal Gabler, Andrew Blauvelt, Ellen Lupton, panel on popular culture, Victor Margolin, Jeremy Aynsley, Tobias Frere-Jones and Jonathan Hoefler, Maud Lavin, Meredith Davis and Jack Williamson), and a tenth presentation discussed copyright law (Janet Hicks and Frank Martinez)” (emphasis added) writes Eye Magazine. Victor Margolin and Lavin also both contributed essays to “Looking Closer 5: Critical Writings on Graphic Design: Book 5,” published in 2010. Victor Margolin authored the book “The Politics of the Artificial: Essays on Design and Design Studies,” published in 2002 by the University of Chicago Press. The book covers, among other topics, “design as a political tool,” according to the inside flap. One could argue, therefore, that Victor Margolin and Maud Lavin, both long-established professors of graphic design from Chicago, have been colleagues since at least the early 1990s. Maud Lavin is important because of her long-time close connection to Sol Sender, the lead designer for the Barack Obama 2008 presidential campaign logo. Lavin and Sender worked together as graphic design co-instructors. Lavin wrote: “I teach in the School of the Art Institute of Chicago…for example, Corporate Culture and Alternative Visions (an undergraduate course I team-teach with Sol Sender and Jennifer Moody).” Lavin’s statement about team-teaching with Sender appears in her essay “Be Selfish”, on page 251 of the 2005 book “The Education of a Graphic Designer,” edited by Steven Heller. Therefore it is established that Victor Margolin’s colleague Maud Lavin was working with Sol Sender at least three years before Mode Project approached Sender about designing the Obama Logo for David Axelrod’s Obama election campaign team. Steven Heller would go on to write an opinion article for the New York Times entitled “The ‘O’ in Obama,” published on November 20, 2008, only weeks after the election. The article consists almost entirely of Heller interviewing Sender about the creation of the Obama logo. 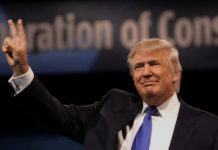 Heller has been an art director at the New York Times for over 30 years, according to his website. “Design for Obama. Posters for Change: A Grassroots Anthology,” authored by Steven Heller and edited by Aaron Perry-Zucker and film director Spike Lee, published in 2009. Fuddy ‘openened’ (joined) Subud in 1982 in San Diego, California, according to according to her own statements to Sylvia ‘Shoshana’ Margolin published in a Subud USA News. Fuddy served as Subud USA National Chair from 2006-2008 and according to those statements. Fuddy appeared to be active with Subud in San Diego around the same time or within a year after the time when Barack Obama was attending Occidental College in Los Angeles. The distance between Pasadena, CA (where Obama lived in an off-campus apartment with his Pakistani roommate in 1981) and San Diego is approximately 135 miles , a two hour drive on I-5. Muhammad Subuh, the Indonesian founder of Subud known by his followers as ‘Bapak’, held several talks in Los Angeles in July, 1981. Bapak’s Los Angeles talks took place during Ramadan, which ran from July 3 until August 2. Conflicting travel accounts published in two books, David Remnick’s “The Bridge” and Janny Scott’s “A Singular Woman,” suggest that Barack Obama was in Indonesia and Pakistan in July 1981, reports Jack Cashill at WND. Victor Margolin is hardly alone in his appreciation of Soviet-era propaganda design work. Former Obama administration White House Press Secretary Jay Carney, formerly Time’s Moscow bureau chief, famously had his home photographed for Washingtonian Magazine’s “Washingtonian Mom” feature with framed Soviet propaganda posters hanging in his luxurious kitchen.